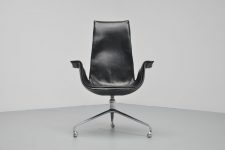 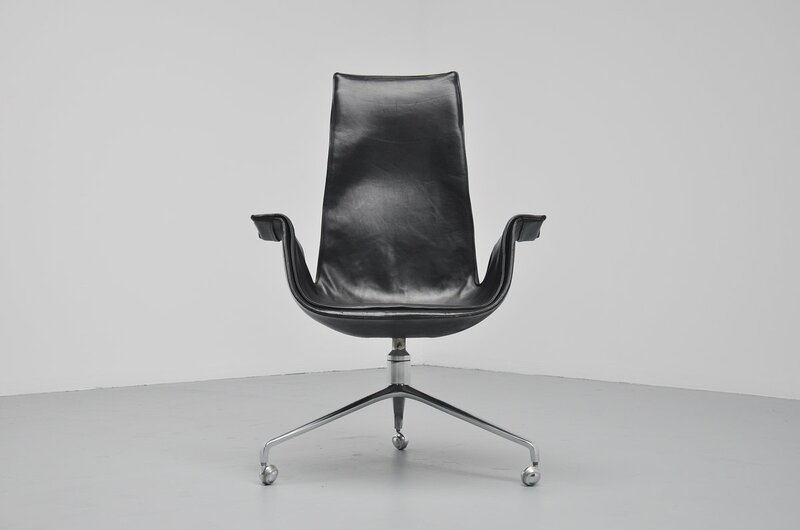 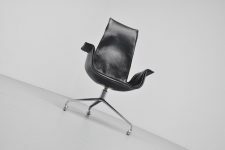 Very nice desk chair designed by Preben Fabricius and Jorgen Kastholm for Kill International, Germany 1964. 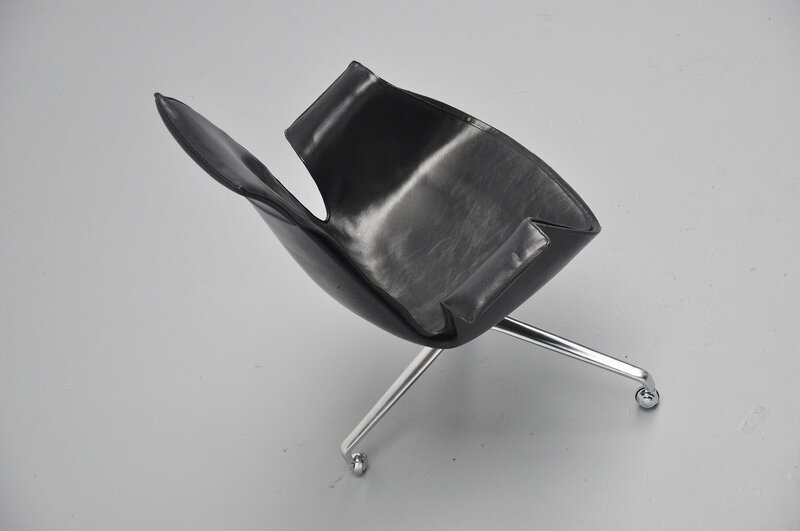 This chair was made of high quality black leather and has a brushed steel base on wheels. 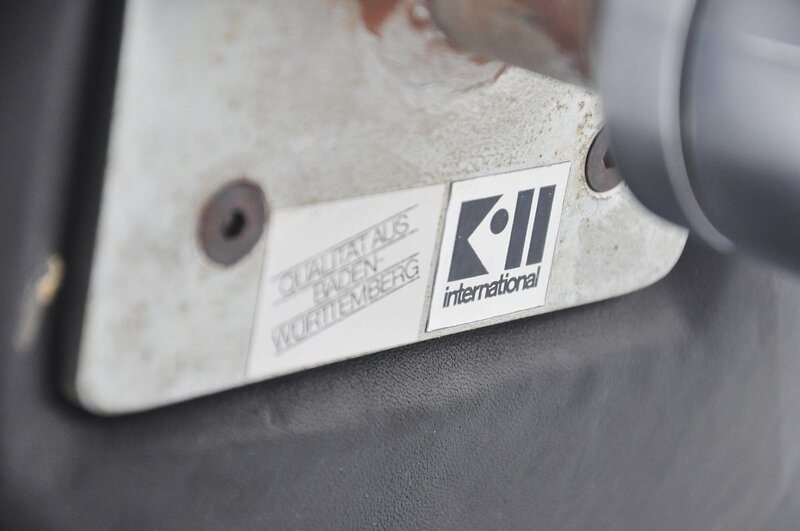 The chair is from the very first production by Kill, still has the original Kill sticker underneath. 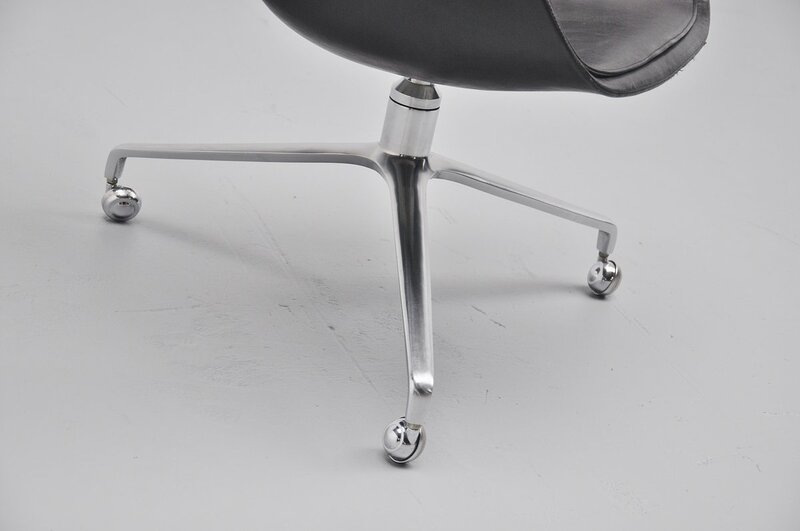 Chair is in good original condition, one very tiny small repair on 1 arm rest, hardly visible.